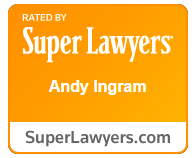 Dunham & Ingram, LLC are a premier legal team that are prepared to fight for you through tough times. Whether you are charged with a crime or need to resolve a family law matter, going through the legal process can be an intimidating experience. You need caring and capable representation to guide you every step of the way and ensure your rights are fully protected. At Dunham & Ingram, we are committed to providing our clients with the highest quality legal services possible. Backed by decades of in-depth experience, our attorneys will give you well-informed counsel and relentlessly fight for your best interests. From misdemeanor and felony charges to divorce and other family law issues, we can handle it all. Our legal team genuinely cares about our clients and will provide you with the results-focused representation you deserve. Whether you are seeking a reduction or complete dismissal of the charges against you, a favorable outcome for your family law situation, or have any other legal needs, we will do everything in our power to help you fulfill them. You can trust us to be there for you when you need us most. Call us today at (352) 415-2896 or contact us online to learn more about our attorneys in Gainesville and how we can help you. Call now and schedule a free consultation. Why Dunham & Ingram, LLC? Regardless of the severity of the charges against you or how complex your family law problem may be, we have the skill set needed to help you resolve it. Our attorneys have both helped thousands of clients with their legal problems over the years, achieving favorable outcomes in many cases. 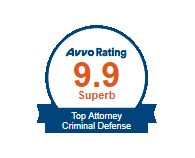 As a result, we gained a comprehensive understanding of Florida criminal and family law. Equipped with our extensive experience, knowledge, and resources, we will fight for the results you need. Throughout the legal process, you can rely on us to help you make well-informed decisions about your future. Your best interests will always be the driving force behind our efforts because your success and satisfaction are our highest priorities. Count on us to provide the strong representation you need. With experience on the defender's side, both of our attorneys know what strengths are necessary to stay two steps ahead of the opposition.